The most important holiday for the child – not March 8 or 23 February, and not even the New year. The best holiday is the Birthday. After that day everything revolves around the birthday sound greetings, light the candles on the cake. And, most importantly, give gifts. But the holiday took place must, of course, to call the guests and to think about what will engage the kids to and it was fun, and the apartment remained intact. As already mentioned, the main birthday of your child is a gift. But with this, any parent can handle easily. It is much harder to figure out how to entertain a crowd of children without loss. First decorate the room, which will be a holiday. Balloons, ribbons, festive streamers – all perfect for creating a cheerful interior. Plan a festive menu and decorate the table. For this fit cocktail umbrellas, bright skewers for canapes (if children are very small and will not be able to get hurt). And, of course, colorful disposable tableware and paper tablecloths. It is sold in stores with a festive paraphernalia. As for the food, for a children's party to prepare, for example, children's sandwiches with the image of the faces of the products, salads, pancakes with fillings. Sweet – fruit, jelly and ice cream. And most importantly - cake! Children rarely sit at a table at the festival, they like to run and play, so don't cook your food like an adult celebration. Think of the concept of the holiday. This can be a simple quiz, competitions for children are easy to find in unlimited quantities. But you can prepare for the holiday more thoroughly and give children a real themed Birthday party. Surely your child enjoys or is interested in something. If the top interests headed by Harry Potter and his comrades, make your apartment Hogwarts. If your daughter likes the heroine of the series "Winx Club", help her with the outfit and the theme of the evening select the appropriate. 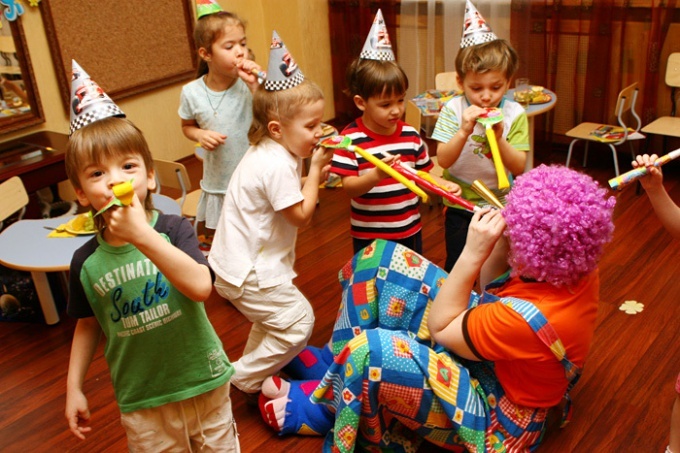 The main thing on a children's party – games and fun. See how give their children the holidays other moms (http://www.solnet.ee/holidays/s7.html). Maybe you can find a lot of interesting ideas and only implement them for your child. You can only add that small gifts are prepared for younger guests. After all, Birthday gifts are nice to receive not only birthday. How fun to celebrate a birthday? How to entertain guests? How to congratulate the birthday boy? Choose entertainment for your party, taking into account age and number of participants and the venue of the occasion. For example, if You are celebrating a birthday at home, it is best suited to intelligent or funny contests. Pobespokoytes that all the guests at the party had fun. Suitable for a birthday celebration at home? Good owners, people who appreciate the comfort of home, wishing to fully enjoy the fellowship with family and friends. How fun to celebrate a birthday – it's only you. Consider their preferences and desires of their guests, guided by the estimated budget, and choose the option of the festival, which will be for you the most comfortable and enjoyable.